Home/Publications/Can Cameroon Become an Emerging Economy by 2035? Cameroon aspires to become an emerging economy by 2035. She plans to achieve this through: implementing an ambitious industrialization strategy; supporting the private-sector promotion strategy; good governance (with blueprint on resource reallocation); sub-regional, regional and international integration; partnership and development assistance . While Cameroon’s 2035 vision, is praiseworthy, many of the country’s citizens are unsure if this will be a reality in 2035. If the aphorism that “where there is peace , there is development” is anything to go by, then one can arguably say that the current political and security climate in Cameroon lends credence to fears of the country’s citizens that an emerging economy in 2035 is only a myth. For example, the largely English speaking regions of the country is currently experiencing a security crises which has seen fierce clashes between civilians and the military. This is following concerns of marginalisation of indigenes from the north and south west regions (called southern Cameroons) and calls for outright secession and independence of Southern Cameroon. 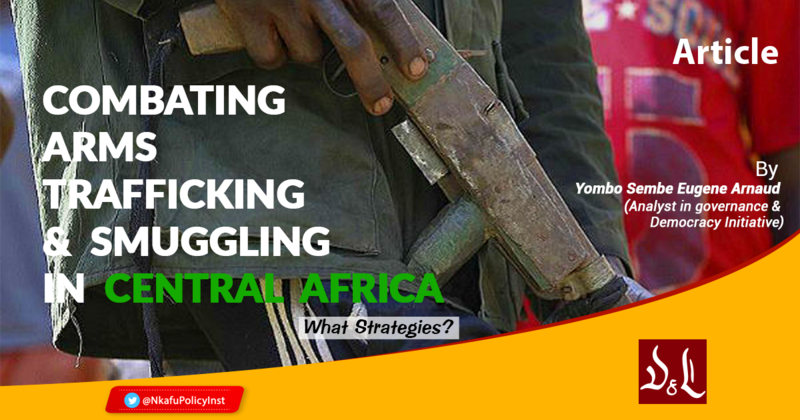 The northern regions of the country are also experiencing insurgencies from the Boko haram terrorist group. From the North West to the Northern region of the country, it is clear that there is need for justice, peace and security to reign. The government will no doubt have to work hard to address these challenges. This will sometimes mean redirecting government expenditure on development projects to the security sector. The government also has to take a bold step and genuinely address concerns of injustice by English speaking Cameroonians. This is so because all these are crucial if the country truly hopes to become an emerging economy by 2035. To understand the prospects of having an emerging Cameroon economy in 2035, it is important to identify current challenges the country faces in its quest to attain the 2035 economic vision and, based on all these make recommendations for what must be done if this hope is real. Besides concerns of security, there is no doubt that Cameroon has what it takes to become an emerging economy in a very short space of time. The country is , for example, heavily endowed with natural resources and mineral reserves that make her stand out as a pillar in the Central African (CEMAC) sub-region. For example: crude oil, hydroelectric power, aluminium, timber, cobalt, nickel and gold are found in different parts of the country .The country is also rich in agricultural produce such as banana, coffee, cocoa and tea. There is also great potential to boost tourism in the country (volcanic mountains, wildlife park, Atlantic coastline, and vast greenery). For Cameroon to harness these natural resources to boost the economy by 2035, however, it will first and foremost, have to address the following challenges: per capita income stagnation, unequal distribution of income, corruption, an unfavourable business climate for enterprises; governance and non-productive state enterprises . A major setback to the country’s vision of having an emerging economy by 2035 is endemic corruption and bureaucratic red tapes. Corruption in Cameroon has been called “Cameroon’s worst – kept secret” by Thomas Reuters. The country was ranked the 153rd least corrupt nation, out of 175 countries, by Transparency International in 2017 and this has continuously created serious economic and social damage to the country. In effect, high level of corruption slows overall development. The entire society is affected as a result of the inefficient allocation of resources, the presence of a shadow economy where small business owners avoid registering their businesses officially with tax officers so as to avoid taxation, and low-quality education and healthcare. Corruption increases the cost of education in Cameroon due to the fact that, bribery and informal connections play an important role in the recruitment and promotion of teachers in most teacher training institutions in the country. As a result, the quality of education decreases. Also, corruption in the designation of healthcare providers and recruitment of personnel, as well as the procurement of medical supplies and equipment, in the country results in poor service, non-functioning equipment and a spike in medical errors. Corruption thus makes the country worse off and lowers the living standards across the board. Secondly, although Cameroon’s industrial sector is dynamic and somewhat diversified, it faces numerous challenges, most of which are structural in nature. The 2010-20 Growth and Employment Strategy Paper (GESP) highlighted some of these challenges, including: energy shortage; high cost and poor quality telecommunications; an insecure social and legal environment; constraints related to regulations, standardization and quality; poor access to finance; and inadequate training in human resources. Smuggling, and high competition from cheap Asian and Nigerian imports, are fuelling a fast-growing informal sector. As a result, import and retail businesses are growing, to the detriment of industrial development. The lack of good-quality infrastructure is a major obstacle to industrialization . According to an African Development Bank review of public spending, in 2013, only 10% of paved roads were in good condition, 32% were in fair condition and 58% were in poor condition. The poor quality of the roads isolates regions that produce goods and this increases production costs. Industries do not have a regular power supply because energy is in short supply, the three networks (North, East and South) are not interconnected and power lines are ageing. The shortfall in skilled labour also affects investment choices. This is made worse by the low purchasing power of the general population. The vision of having an emerging, democratic and united country in diversity by 2035 hinges on the identification of the population’s needs, aspirations and the ambitions of politicians. In particular, the vision synchronizes the aspirations and hopes of the different actors. Cameroonians generally would love to see a nation that is characterised by low unemployment rates, infrastructural development, access to basic quality goods, a fair allocation of the country’s resources and where there is justice for all. This is not impossible. But first the government must articulate an implementation strategy that emphasises increased investments in infrastructure and the rapid modernization of production. The process should go along with an improvement of the business climate and governance by promoting the creation of small and medium size enterprises and the fight against corruption, as well as a renewed determination to factor in employment and job creation. With the recently signed African Continental Free Trade Area, the country will benefit from bilateral trade relations with other countries and will face rigorous competition with other developing and emerging markets that will push producers to produce better quality products. Cameroon has the potential to become an emerging economy but it will require well-functioning and organized systems to be put in placeThese institutions should be able to work towards enhancing standards of living of Cameroonians, fight corruption, put measures in place for good governance as well as a country where every citizen gets a fair share of the national cake and a friendly and favourable business climate to all and sundry. It is clear that at the current rate it may be difficult for the country to become an emerging economy by 2035.